At Asphalt Pros we specialize in all aspects of commercial and residential asphalt & concrete paving. Asphalt repairs, seal coating, patching, fixing potholes, adding speed bumps, road & driveway installation or restoration...these are just a few of the services offered by our experienced team. Our goal is to help you maintain the integrity and appearance of your asphalt driveway, parking lot, access road, and more. 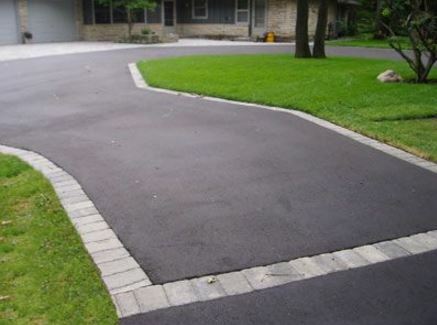 If it's paved with asphalt then we should be your contractor of choice. Keeping asphalt surfaces free of cracks and blemishes and maintaining them for the long haul is what we do best. Commercial or residential, we work on all types of properties and understand the unique needs of each. From Hansville to Gig Harbor, Bremerton to Bainbridge, you can count on Asphalt Pros Kitsap based in Poulsbo WA to provide you with top-notch asphalt services. Call us now or fill in our short contact form to discuss your needs and schedule a free, no obligation estimate. Don’t see your project listed below? No worries – just give us a call to discuss. We’re no stranger to special requests and unique projects. Give us a call and we'll come out and evaluate your options. A well done, aesthetically pleasing private road or driveway adds to the value of your home. For businesses, your parking lot is the first impression a customer has when they stop by. Make it count. The construction experts at Asphalt Pros use only quality products and methods. You'll love the results! Cracked and buckled sidewalks, driveways and parking lots are both an eyesore and a hazard to cars and pedestrians. They also negatively impact the curb appeal of your property. Not sure what to do? We'll evaluate your situation for free and provide you with options, explaining each so that you're able to make the best choice possible. Why all the different version of “sealcoat”? Because there are similar terms out there and they all mean the same thing. We’ll come out, clean the surface, fix imperfections and then apply a quality coating to protect and preserve your asphalt. If you call us in early on, we can typically repair your asphalt driveway or pad without the need to remove much material. If you’ve waited a long time and the situation is rough, it may be necessary to excavate and re-asphalt. Yep, we take care of commercial locations including parking lots, equipment storage pads and more. Nothing makes a business look more inviting than a well cared for parking area. After pressure washing and crack maintenance, we apply a quality, commercial grade seal coat and finish up with the striping. If you’re happy with the current design and location of your ADA parking, great. We’ll utilize the same design. But if you’re looking to make changes, perhaps add more ADA spots or modify your current spot to make it more accessible, then let us know. ​We’ll assess your location and space constraints and provide you with alternatives. Not sure if you are in compliance? We can evaluate your current setup and provide guidance. Regulations can be confusing – let the professionals at Kitsap Asphalt Pros take care of the hard stuff. Clean surfaces look better, last longer and are easier to maintain. Before applying any surface coating we’ll thoroughly clean the surface to ensure superior results. Just need your surface cleaned? Not a problem. Pressure cleaning jobs can usually be scheduled on short notice. Some asphalt service companies travel the country with their crews & equipment, work the job and then move on. 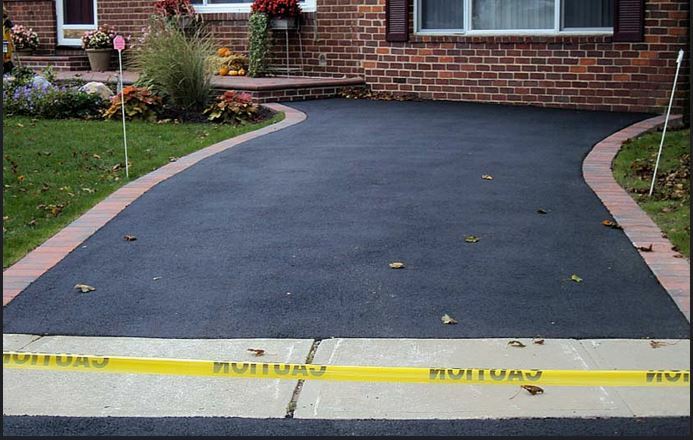 Who will you contact if your asphalt driveway starts to show cracks or a crumbling surface? Not these guys – they’re long gone. Our 4th generation, hometown team is local. We aren't going anywhere. We’ll provide you with quality service and we’ll back up our work. Our crews pave asphalt, apply sealcoat and repair asphalt throughout the Kitsap area. Some of our locations include Gig Harbor, Bremerton, Silverdale, Poulsbo, Kingston, Bainbridge, Hansville, Port Gamble and beyond. Don’t see your town listed? Give us a call. We frequently travel throughout Mason & Jefferson counties and would love to stop by for a visit. Asphalt Pros Kitsap uses only quality products and work methods when applying sealcoat and conducting asphalt repair. Our crews are experienced and very familiar with the specific needs of PNW businesses and homeowners. Our wet wet wet (and rainy) winters followed by sunny summers means your asphalt needs to be able to weather environmental extremes – think lots of runoff and hot summer days. Because we live here, we understand this and are able to assess your location and provide you with industry best repair and seal coat techniques. 4. Asphalt, Asfalt , Asfault…huh? You can spell asphalt however you’d like. It doesn’t matter to us. We’re still speaking the same language! You read that right: We Care. Sounds kinda mushy for an asphalt contractor to talk like that, but it’s true. Our family business has been successful because we care not just for each other, but for you, too. Our business is an extension of our family and our intent is to treat your home or business property in the same manner. ​We can’t succeed unless you are pleased with our work. If something doesn’t turn out to your satisfaction we’ll do our best to make it right. 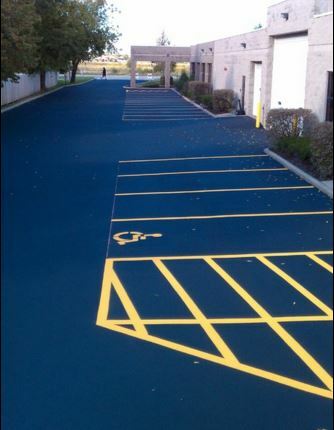 Parking lot repair, seal coat & ADA compliant striping. Still here? You must have liked what you read. Now it’s time to meet up in person. ​Give us a call or submit the Free Quote form and let’s discuss your project. Asphalt Pros Kitsap provides superior service to all of Kitsap County. Don't see your town or zipcode below? It's just an oversight. Give us a call and let's get your asphalt installation or repair scheduled now. These are the cities we regularly service. Don’t see your town listed? Don’t despair. Call us instead to discuss your project. We often travel to Port Townsend, Port Angeles, Sequim & beyond. BAINBRIDGE ISLAND, BREMERTON, BURLEY, GIG HARBOR, HANSVILLE, INDIANOLA, KEYPORT, KINGSTON, MANCHESTER, OLALLA, PORT GAMBLE, PORT ORCHARD, POULSBO, SEABECK, SILVERDALE, SOUTH COLBY, SOUTHWORTH, SUQUAMISH and TRACYTON. 98061, 98110, 98310, 98311, 98312, 98314, 98315, 98322, 98329, 98337, 98340, 98342, 98345, 98346,98353, 98359, 98364, 98366, 98367, 98370, 98378, 98380, 98383, 98384, 98386, 98392 and 98393.